On April 17, 2014, SEAMEO RETRAC organized a sharing session on “‘Inspired to Write’ in the IELTS Preparation” for teachers of English teaching IELTS Writing at the Center. 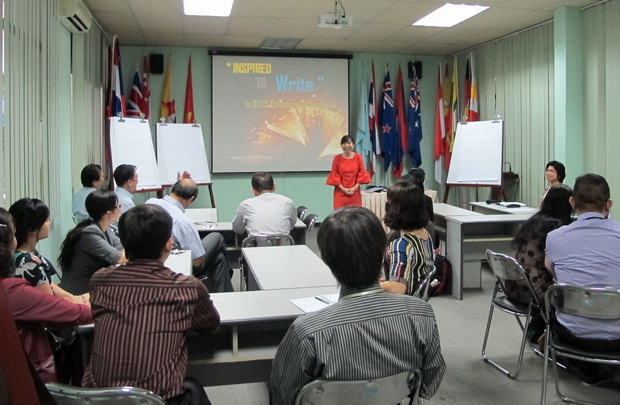 On April 17, 2014, SEAMEO RETRAC organized a sharing session on “‘Inspired to Write’ in the IELTS Preparation” for teachers of English teaching IELTS Writing at the Center. 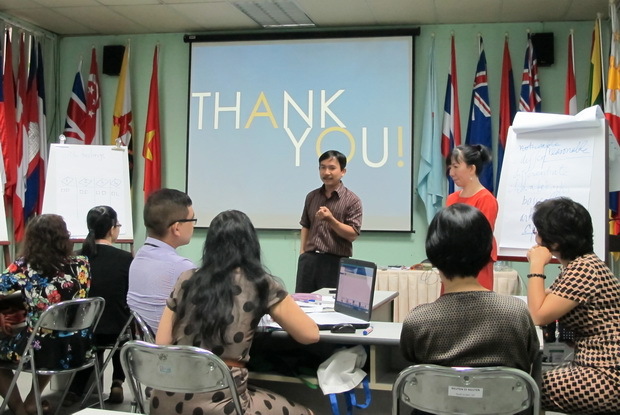 The session was shared by Ms. Nguyen Vo Kieu Trang and drew the participation of 20 teachers.